While a lack of console cross-platform play has long been an issue for fans of gaming, it feels like it’s really come to a head recently with Fortnite Battle Royale. As Xbox and Nintendo tweet one another to organize games of Fortnite, PlayStation remains on the sidelines as the platform that refuses to enable its users to play with anyone else. Sony has been rather evasive when it comes to explaining its reasoning for its reticence. Xbox and Nintendo seem to have no problem with it, and Epic Games has said turning on cross-play would be as easy as pressing a button. Yet PlayStation won’t get in on the act. According to Joe Smedley, the former head of Sony Entertainment Online, the main reason for this is nothing more complicated than money. 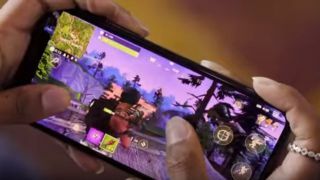 After settling for a while, the cross-play Fortnite issue was raised once more when the game launched on Nintendo Switch during E3. PlayStation 4 users who had linked their console to their Epic account found that they were unable to log in on their Switch console, meaning their progress and purchases would have to started from scratch if they wanted to use their Switch. This wasn’t a problem that Xbox and PC users faced, and there's been some dissatisfaction among PlayStation users with friends on other platforms since. Fans are continuing to place pressure on Sony and PlayStation over the cross-play issue but whether or not the company will budge is hard to say.